Oscar winner Big Hero 6. "Once upon a time, there was a freckle-faced little boy who told his mom and his dad that one day he was gonna work at Walt Disney Animation. And they did something amazing. They supported him and they believed him. And from the bottom of his heart, he thanks them." It was a good night at the Oscars Sunday for Disney Animation. Big Hero 6 was named Best Animated Feature while Feast claimed the statuette for Best Animated Short Film. There were those other films too: Birdman, The Grand Budapest Hotel and Whiplash. Anthony and I cover it all in today's episode of Inside The Mouse Castle. Pirates of the Caribbean: Dead Men Tell No Tales has started filming in Australia and we finally know what the story will be about. Captain Jack Sparrow (Johnny Depp) crosses swords with "deadly ghost pirates" led by an old nemesis (Javier Bardem). Captain Jack's only hope is to obtain the Trident of Poseidon, the key to unlocking all the powers of the sea. POTC 5 will open in the summer of 2017. Kevin Costner stars in Disney's inspirational sports film McFarland, USA. Kevin Costner's latest flick for Disney, McFarland, USA, opened to generally favorable reviews and pretty good box office numbers ($11.3 million) over the weekend. One day, Anthony and I might even be talked into watching it. Disneyland and Walt Disney World upped their ticket prices on Sunday. The world did not end. Lauren Passell wins the Disney Princess Half Marathon. A year ago, Lauren Passell thought she might never run again due to a broken hip. 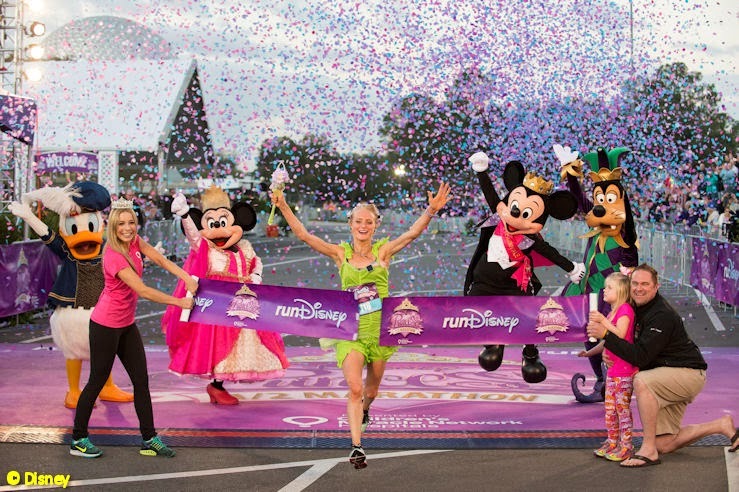 Sunday, she beat a field of over 20,000 runners to win the Disney Princess Half Marathon at Walt Disney World. The Cobb family from Houston, Texas, is on a cross-country hike from Disneyland to Walt Disney World to raise money and awareness for cancer treatment and to honor the memory of their daughter, Julia Cobb. In 2013, Julia died of Ewing’s Sarcoma, a rare bone cancer, at the age of eight. The family's 4,000-mile journey began on August 4th last year and they are currently just past the halfway point in east Texas. To find out more about the Cobb family and how you can support their cause, visit www.jucanfoundation.org. Last year on Inside The Mouse Castle, we talked about the frivolous lawsuit filed by author Isabella Tanikumi, who claimed Disney stole the idea for their mega-hit Frozen from Tanikumi's autobiographical book Yearnings of the Heart. Last week, U.S. District Judge William Martini granted Disney's request to dismiss the lawsuit. In his ruling, Judge Martini wrote, "The setting, plot and characters have no close similarities. No lay person could find that Disney improperly appropriated from Yearnings of the Heart."